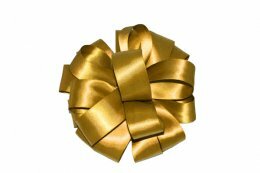 Double faced satin ribbon is shiny on both sides, giving it a very polished and elegant look! With our huge color selection, you will surely find one to match any color theme. Our satin ribbon is the choice of discerning brides, premier wedding and event planners, florists and bakers for exquisite, quality trim. 50 Yard rolls: 1 1/2"
100 yard rolls: 1/4", 3/8", 5/8", 7/8"
....Please select Antique Gold Antique White Aqua Azalea Black Brown Burgundy Chocolate Citrus Colonial Rose Copper Cream Dusty Rose Emerald Forest French Blue Gold Green Grass Hot Red Hunter Iris Ivory Kiwi Lemon Lime Lt. Blue Lt. Coral Lt. Navy Lt. Pink Maize Mint Moss Navy Old Gold Old Willow Orange Orchid Peach Pink Plum Purple Haze Red Royal Scarlet Shell Grey Shocking Pink Silver Tan Tangerine Teal Turquoise Watermelon White Wine Yellow Gold .